Providing you the best range of enklo hlp 68 circulating oil with effective & timely delivery. Hydraulic & circulating oils having outstanding antiwear properties, oxidation stability and a high fzg rating. In addition these grades have excellent resistance to thermal degradation and better hydrolytic stability. These grades are specially developed for sophisticated hydraulic devices with hydro- mechanical actuators. Enklo hlp grades find application in system where oil is used for extended periods. Enklop hlp grades meet requirement of din 51524part2 specification denison hf-o and hf-2 cincinnati milacron p-68, p-69, p70 and is : 11656 – 1986specifications and us steel 127 also passes vickers vane pump test. Performance benefits :they are premium hydraulic oils having outstanding anti-wear properties, excellent oxidation stability and fzg ratings. They are recommended for sophisticated electro hydraulicor numerically controlled system. These grades are recommended for use in screw compressors, also approved by ingersoll – rand foruse in their screw compressors, enklo hlp 32 is approved by voith india for use in hydraulic coupling and l & t mcneil ltd, chennai for injection moulding machinery. 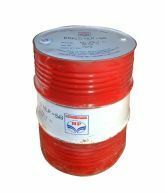 Looking for Enklo Hlp 68 Circulating Oil ?